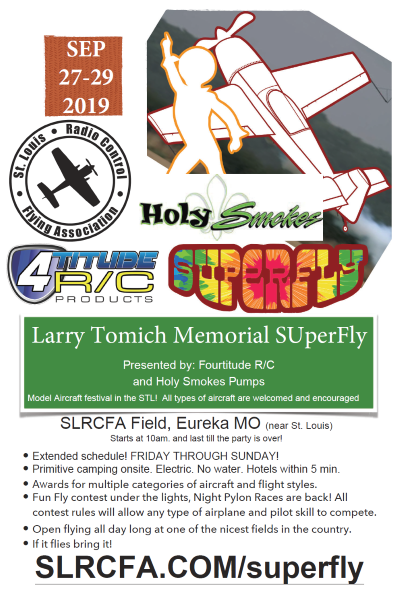 St Louis R/C Flying Association has agreed to host the SuperFly again this fall and for the foreseeable future. That is right we are going to the center of the country. Last year was EPIC! Over the past decade or so there has been a trend of segregated flying events based on the type of aircraft and flying style. What that accomplished is lower attendance and in fighting between fellow modelers over foolish things. 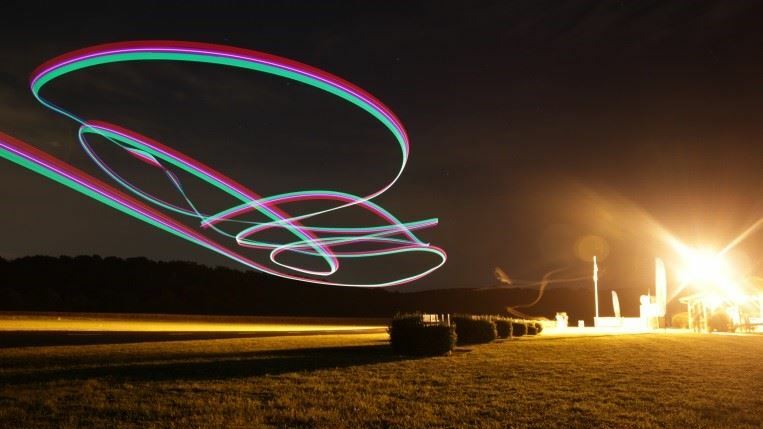 SuperFly event series vision is to bring us all together and have fun with fellow R/C junkies. Large scale turbine vs EDF micro jet, Foam vs Balsa, 3d vs warbirds, Electric vs Fuel, etc, etc. We have proven all of those can play at the same venue and actually find out we all love model aviation! Big question mark for most is how do you control the flight line. The answer is simple: we don’t the pilots do. Got a group of your buddies wanting to fly a warbird gaggle? No problem just get in line and let the fellows know that is your plan. Ask to please give us a few minutes doing formation worm burners. We are all sharing the same passion and it will blow you away how much fun this event concept has proven to be. Night time fun is on tap and has proven to be a highlight of the weekend. A SuperFly original, All the Fun Fly contest happen at night under the light towers! Back by overwhelming popular demand is the night pylon races. Having the fastest airplane doesn’t really mean much in this event. All of the fun fly events are structured so any type of airplane will be very competitive. The last pylon race was won by a Super Cub! See everyone this fall and remember if it flies bring it. Balsa gliders and up from there!